Chuck and Kathy Kuderer and family invite you to their farm, near Cashton Wisconsin, in the heart of Wisconsin's largest Amish community. Set deep in the heart of southwestern Wisconsin you will find a serene spot nestled in the valley 2 miles east of Cashton, along State Hwy 33. Set amongst the gorgeous rolling country side, the Kuderer farm is home to the Village Shops at Down A Country Road. The Amish Shop was built by local Amish families to showcase a wide variety of hand crafted treasures made by local Amish families such as Amish crafts, furniture and specialty foods. The Little Red Shed, a Country Crafts and Gifts shop built in 1905, features many home made products made in Wisconsin by local and area artisans, including everything from home made giftware, soaps, lotions and perfumes to Cranberry products. 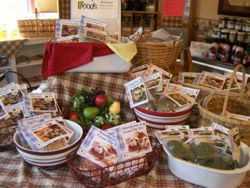 Emma's Kitchen offers a wide variety of goodies to take home and enjoy, like jams and jellies, noodles, home made candies, honey products, maple syrup, pancake and bread mixes and other food products. Country Corner Ice Cream Shoppe. Take a break during your tour for a soda or treat made with "Made in Wisconsin" ice cream like a creamy root beer float, sundae or ice cream cone. At Kinner Korner Children's Shop you will find an array of furniture and gift items for the wee ones in your life. From cribs and high chairs to toy chests and rocking horses, children's tables and chair sets to rocking chairs you will find quality Amish made items. Kinner Korner ( Kinner is what the Amish call children) also features children's books, plush, wooden toys, wall decor and more. Not So Plain & Simple. This fun new gift shop features products for the ladies. 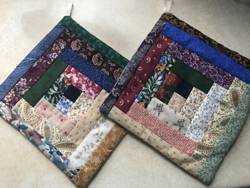 Hand made purses, jewelry, scarves, lotions and potions and fun and inspirational giftware. Down A Country Road will take you back in time to a quieter, simpler way of life. As you visit the Kuderer farm you will sense the quiet tranquility of a day in the country. 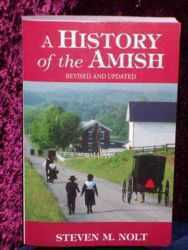 Located in southwest Wisconsin's driftless region, Chuck and Kathy, along with their children, Jenny, Jason, Jeremy and Janessa, a non-Amish family, have established a special friendship with many of the Old Order Amish families that surround the Cashton area. The Gift shops at Down A Country Road reflect that friendship as the Kuderer's work with approximately 45 Amish families that bring their products to sell in the gift shops built on the Kuderer farm by the Amish. You will find a wide variety of Amish made furniture, quilts, rugs, baskets, home made candies, jams and jellies, maple syrup, honey products and so much more! The Kuderer's also work with many other local Artisans who bring their wares to the gift shops at Down A Country Road to market to people from around the world. 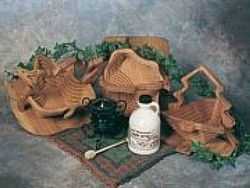 They are very proud to offer you these items as well as much unique gift ware that Kathy has sought out by attending many markets. You may want to consider taking a tour of Amish Country to learn more about the customs and traditions of the Old Order Amish. Please see our Tours page for information on what we can offer you. In the summer of 2014, Chuck and Kathy purchased an old general store building that was built in the late 1800's and had it renovated by Amish friends and others to become a beautiful Gift Shop. The Olde Newry Store features beautiful giftware, home decor and more. Generally open the same hours as The Village Shops at Down A Country Road. The Olde Newry Store is located just a few miles from Down A Country Road, on Hwy 27, 2 miles south of Cashton at the junction of Co. PC. We will be glad to give you specific directions when you visit us here at The Village Shops at Down A Country Road. 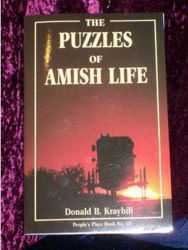 Page Summary: Down A Country Road offers gift shops, amish furniture, amish tours and amish stores. Products such as home furnishings, handcrafted furniture, amish outlet as well as amish products are also part of the scope of our business. 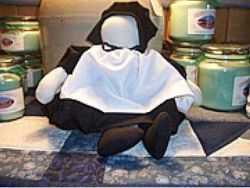 We also specialize in amish shops, amish places to visit in Cashton, La Crosse, Onalaska as well as Sparta. Other areas we serve include Tomah, Holmen, West Salem and Viroqua. We also service Mauston, Black River Falls and beyond.